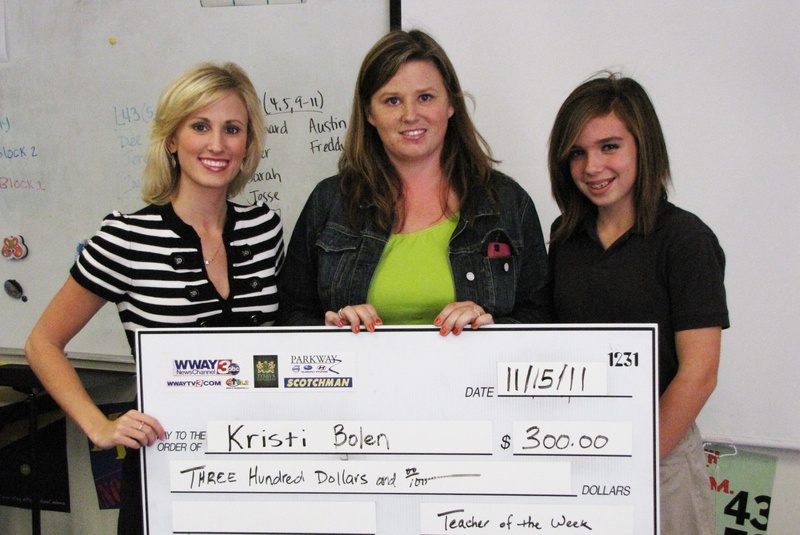 WWAY and our sponsors are teaming up to recognize outstanding teachers in the Cape Fear. Every Tuesday, we head out to the winners school to recognize them and present them with a check for three hundred dollars. We went out to Roger Bacon Academy to present this weeks award. 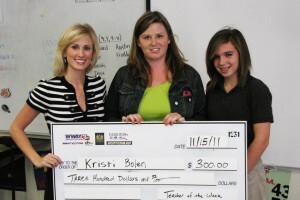 Kristi Bolen middle school math teacher was nominated by her eighth grade student Leanne Applewhite won the WWAY Teacher of the Week this week!